Instead of trying to manipulate your apps through your iPhones homescreen, fallboard provides a list interface for you to quickly view your apps and create new groups. You can even sort your apps by name, date, frequency of use, etc. You can than preview how your layout would look and apply it to your phone. Never lose track of your apps again. In todays app, the ‘user’ can organize their apps by name, color, category and frequency of usage. It’s a bit more conceptual today, since Apple doesn’t allow third party apps to edit the springboard. 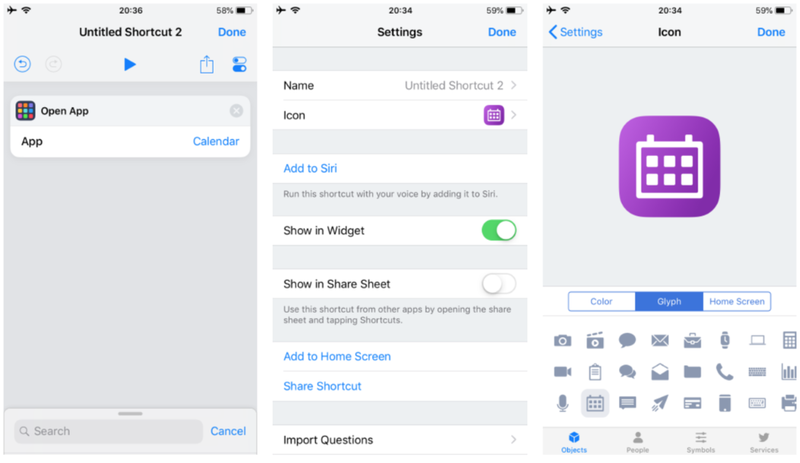 Apple’s “Shortcuts” allows you to create customized app icons for your homescreen that can trigger different actions.